The U.K.'s Serious Fraud Office, which prosecutes complex cases of fraud, said Monday that it's started criminal proceedings against Peter Charles Johnson, Jonathan James Mathew and Stylianos Contogoulas in connection with manipulating the London interbank offered rate, or Libor. All three have been charged with conspiring to defraud between June 2005 and August 2007. The scandal began in the middle of 2012, when Barclays (BCS) admitted to manipulating Libor, which together with related rates is used as a benchmark for trillions of dollars of financial products around the world. The U.K.-based bank declined to comment. 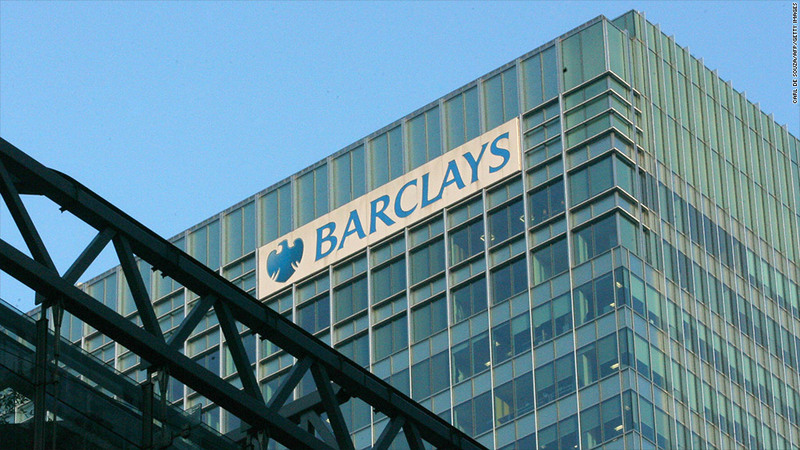 Barclays paid more than $450 million in 2012, as part of a settlement with U.S. and U.K. regulators. Other big banks have also paid hefty penalties for their role in the scandal, which so far has cost the industry about $6 billion. The SFO had previously brought Libor-related charges against former UBS (UBS) and Citigroup (C) banker Tom Hayes, along with Terry Farr and James Gilmour, who both worked for brokerage RP Martin. All three have pleaded not guilty. The U.K. probe is running parallel to an investigation by the U.S. Department of Justice, which last year charged three former employees of U.K.-based brokerage ICAP (IAPLY) with actions related to Libor rigging. The U.S. has also indicted Roger Darin, another former UBS employee. U.S. government-backed Fannie Mae (FNMA) sued nine banks in October, arguing it lost money on mortgages and interest rate swaps when Libor rates were set artificially low. U.S. law firms are also leading civil actions on behalf of investors who claim they lost out due to the market manipulation. Regulators and legal authorities continue to pursue other individuals and banks. The European Commission said in December that it was still going after HSBC (HBCYF), Credit Agricole (CRARF), JP Morgan (JPMPRD) and ICAP.